The Marksman Class - Pariah of the 9 Man Squad or Lethality Incarnate? It's been discussed casually in teamspeak, talked about in discord and mulled over in the forums. Without a doubt, the most controversial and perhaps misunderstood fire support role in this version (9.4) of Squad. It appears there is little consensus on what the Marksman kit is good at, is good for, and if it's even good at all. So lets freakin argue about it because building a consensus is for politicians and lame wads. I'm going to start by simply quoting myself from another thread. This will of course save me time because luckily everything I wrote is completely correct. The Marksman kit is fantastic on maps with significant elevation changes. Fools Road or Sumari for example present fantastic opportunities for Marksman's kit rifle to be extremely lethal at mid range. Al Barah despite being technically flat, also is a Marksman's dream come true with the plentiful amount of accessible high rise buildings. I've had massively reduced success on maps like Kokan or Sumari which are of course, extremely flat with the tallest buildings being only 2 stories and difficult or impossible to get on top of. The Marksman whether using the M110 or SVD has the meanest gun in the game for mid-engagements. The high damage and good accuracy mean that most targets die within 2 shots. If you engage infantry in the envelope where their rifles and optics begin to lose effectiveness, you can be practically immune from retaliation in a prolonged firefight. I also believe that the Marksman is not a scout kit. Any rifleman optic kit or even a regular rifleman occasionally zooming can be a successful lookout. At the end of the day, to be good with the marksman, you have to be good at shooting. If you cannot regularly pull of head shots at mid-range, if you cannot quickly incapacitate a moving target, if you are constantly expending multiple rounds on one target than the marksman is just not the proper weapon for you. I hate to use K/D ratio as a measure for anything in Squad. 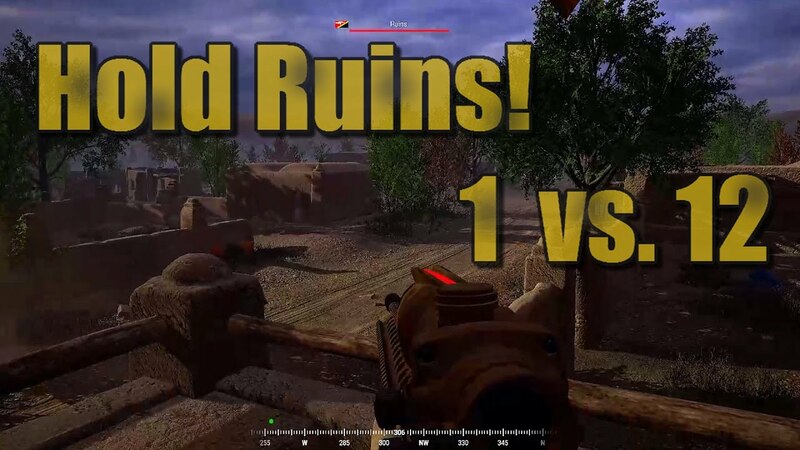 We all know rounds in Squad are defined by so much more than just a simple K/D count. But in the case the of the Marksman kit, if you aren't racking up the kills in a healthy way, I've got to figure another kit may be of better use. If you think I'm wrong on this perception of the kit though, lets start a new thread and discuss all the delicious theory and practice. I think it all depends on the user and their intent. I doubt I would restrict the kit from a competent player I know, but I will ask random player I don't know not to use it. I think 9 times out of 10 a blueberry wants the kit to go in a hill somewhere and snipe people thinking their k/d ratio will be awesome when, in fact, most of the people they down get revived. The kit used at mid-range in the hands of a competent shooter is probably better than an AR or grenadier. (Insert video from ProActiveDeath here for proof). In a perfect world, I would have 1 LAT, 1 AR (when suppression really works) and 1 DMR. The DMR would be the only one killing people past close range. Everyone else would be there just as security or as needed for CQB. I believe it's easier to have a negative opinion on the Marksman kit than a positive one, as the internet says 90% of players who select the kit are doing it under false pretenses. This may be true. It is not designed to be used for 600M engagements (although hits are possible), hiding in a bush on the top of a mountain. Kokan is one of my favorite maps to play Marksman, as it has endless sight lines and the small villages create choke points. Again, it's my opinion that large changes in elevation are not a requirement for solid Marksman play. I wholly agree up until the last two sentences. The benefit the Marksman brings is an additional optic, and the longer effective range and damage of the 7.62 round makes the DMR role the perfect scout. This gives you up to four magnified optics in the Squad which can be devastating on larger maps. Agreed for the most part - but being a competent shooter is important regardless of kit. The same could be said for any magnified optic rifleman, or LAT, etc. Also I am a huge fan of "security" rounds. It may not be practical 100% of the time, but if you watch any of my videos I will send follow-up shots on most targets unless I'm 100% it was a kill shot. Nothing worse than thinking a guy is down and then he shoots you in the face. At the cost of using more ammo I view that a as a risk worth the reward. If you think I'm wrong on this perception of the kit though, lets start a new thread and discuss all the delicious theory and practice. Again I am glad you started the thread for the discussion. Some additional thoughts - I'm biased - and I will be the first one to say it. I enjoy the DMR role, and don't mind the Intel driven portions of the gameplay when playing that role. I should be scouting troop movements, I should be holding fire unless I can guarantee hit, etc. etc. The devil is in the details when it comes to that kit, and like most things in life it's just misunderstood. Thanks for the vote of confidence, and obligatory video attached. Last edited by Pro-ActiveDeath; 05-12-2017, 05:44 PM. For my taste, as a long time PR player who has seen more than his share of players joining a squad, taking a sniper kit and then leaving to the lone-wolf one-man army who sits on the edge of the map doing nothing to help the team, the sniper/marksman kit seems to attract the worst in the online player. That is a lot of history to shake off. I messed up the posting of the video above, and I can't seem to fix it. 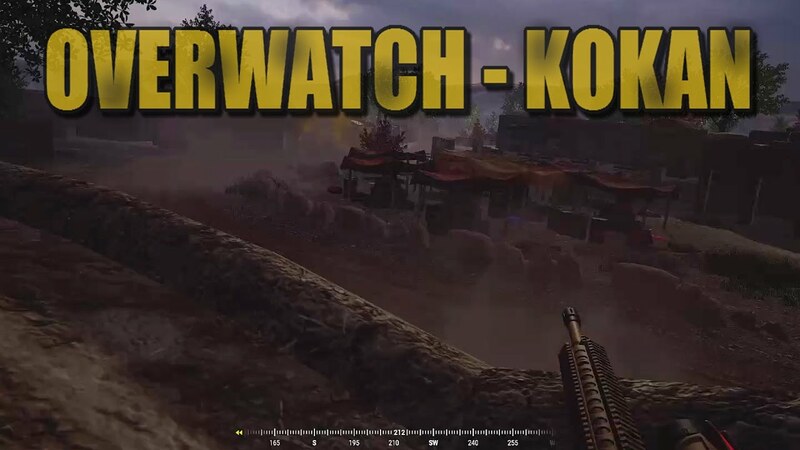 So this is the Kokan video I wanted to post. As someone who has used the kit on both Squad and PR (and regardless of what anyone tells you, Squad plays exactly the same) the issue isn't the kit per se. It's the people who take it. DMR is just a tool. It has an area of effectiveness. Used outside that it is a poor choice and reflects poorly on the player. Used correctly, in an appropriate manner it can be effective. The problem often is people take it regardless of the situation because they are playing for themselves. It's also not fully fleshed out now and is therefore overshadowed by a regular scoped rifle. People selecting it in situations where those two platforms overlap is indicative of selecting the kit because YOU want it rather than it being the right tool for the task assigned you by your SL. Last edited by Wicks; 05-13-2017, 09:32 AM. In my experience, the marksman kit is only truly useful on a handful of maps that have lots of open ground. That said, I have used both marksman kit and Acog Rifleman kit, and found that I am actually more effective with the Acog rifleman kit. I am able to suppress, wound, and kill people at the same ranges as the DMR. Plus the Acog rifleman can use full auto and clear buildings if needed, whereas the DMR cannot. Maybe the standard rifle with 4x optic isn't as powerful, but the accuracy seems about the same as the DMR. And even if the rifleman has more difficulty killing someone at range, just suppressing and wounding is helpful to the squad. I prefer my squad members take 2 AT and a grenadier or automatic rifle. It's the people who take it. AR is just a tool. It has an area of effectiveness. Used outside that it is a poor choice and reflects poorly on the player. Used correctly, in an appropriate manner it can be effective. Gren is just a tool. It has an area of effectiveness. Used outside that it is a poor choice and reflects poorly on the player. Used correctly, in an appropriate manner it can be effective. But for the most part the focus is always on Marksman because of the predisposition to the kit. I think that is the nature of this thread and the reason for C0pernicus's post. I'm not saying that's wrong, because if someone selects Marksman and then is off in the corner of the map it's certainly frustrating and a detriment to the cause. But so are Medics on point who die first (or use it for self-heal only), or AR's who try and clear buildings. The problem often is people take it regardless of the situation because they are playing for themselves. It's also not fully fleshed out now and is therefore overshadowed by a regular scoped rifle. People selecting it in situations where those two platforms overlap is indicative of selecting the kit because YOU want it rather than it I'd the right tool for the task assigned you by your SL. The other feature that no one talks about is changing kits mid-game at an ammo crate. Pro-ActiveDeath absolutely, 100% agree with you. The DMR/Marksman kit/role is a support type weapon. It is a different platform to the regular rifle and should be used accordingly. It should not be employed in close quarters. If you are doing that, you're doing it wrong, period. It is less effective than a regular rifle in cqb. Whilst it does more damage per shot it's still a two shot weapon, it just has a faster bleed out rate. It's rate of fire is glacially slow in comparison to a regular rifle and it's ammo capacity a fraction. I'll stop any silly counters to the above point before they arise. Yes, you can kill a target in cqb with a DMR, it fires bullets. You cannot kill multiple targets effectively in rapid succession, you cannot cover teammates with suppressing fire as you would with other weapons. You will expend your ammo rapidly in cqb. If you don't then you're deliberately conserving it by not being 'in the fight' and placing pressure on your squad, and ultimately getting them killed. You do not and cannot realistically establish fire superiority in close quarters with a slow ROF weapon intended, in fact designed for longer range engagements. The point is yes, a DMR can be employed in CQB, anyone can ram a square peg in a round hole with enough brute force. However you aren’t using the kit properly, you aren’t getting the best out of it and you are hindering your squad. As a support weapon the DMR should be used to extend the range of the squad beyond that of the regular rifle. It is pretty much the only weapon platform in the game even remotely equipped to do that at this specific moment in time due to the lack of proper MG related mechanics, ie bipod/ weapon resting and potentially magnified optics. All other weapon platforms that can consistently operate in that battle space, ie 400m and beyond are essentially vehicle mounted. If that fact is acknowledged it becomes clear where the DMR is best suited to operate and also provides clues as to the manner in which it should be employed. Much like any support weapon it is, dependent on terrain, best employed on the shoulder of the squad, somewhat like a weapons team would be within a conventional squad. Whilst the squad is in a movement phase it can provide cover. It is move to point A, get set, cover, repeat weapon/role. If you are constantly in motion with your squad you aren’t observing targets in your designated/designed ranges. You are negating the weapon’s inherent strengths and purpose to fulfill a role better carried out by a rifleman. If you are doing that regularly you have selected the wrong kit for the job you are doing. If you are in a position where you can provide real overwatch for your squad and teammates and it’s what your SL wants tactically, it’s not a bad choice. Engage and hinder enemy infantry at very extended ranges in the open. The extremely high damage per shot causes a huge bleed out. The SVD for example will cause a bleed out under 10 seconds (can’t recall the exact figure). If you’re crossing open terrain and get hit by that, it’s a huge problem.You keep running to get to cover, you won’t get there. You stop to patch, stationary target, thank you very much. If you hesitate between the two choices you eat into your patching time. You’ll probably still bleed out. Pop a smoke? Same result. That last point is critical and perhaps one of the single greatest strengths of the DMR and maybe one of the most overlooked. The capacity to harass squads at range and freeze them in place. This is actually one of the most overlooked roles of the ‘Sniper/Marksman’ type classes in real life and games. It’s not about Hollywood headshots etc. It is the ability of one simple weapon, employed effectively, to halt an enemy’s progress. To hinder their ability to maneuver all the while enabling friendly troops to move freely. The psychological aspects of this element of warfare and it’s practical/tactical application are well documented. So you have an enemy squad maneuvering in the open at range. Hit one, don’t worry if you kill him or not, you’re on the clock. Hit another one. Watch the smoke grenades come out. You should see one guy throwing multiple smokes and trying to get to the wounded. Obviously that’s the Medic. Hit him. Now that whole squad is in trouble, you have just rendered that whole squad combat ineffective with one of their medics down as well. Your squad mates will love you. I’ve done this countless times in PR and been testing it over the past couple of nights in Squad, a short window of testing in Squad admittedly but enough. In the appropriate circumstances it works exactly as I thought it would, the two games play identically. The rest of the Squad were able to close with the remainder of the enemy now fixed in place and eliminate them. The catalyst, a handful of shots at long range, maybe only a couple of immediate KIA’s. Maximum effect with minimum effort and risk. Ultimately as several has said, it’s a tool. Used appropriately it’s excellent, not as good as it will be in future but it can fulfill a role now. If you pick it every round, if you insist on selecting a tool then either using it inappropriately or engineering a situation where it is appropriate, ie dictating your role to the Squad, then the issue isn’t with the weapon, it’s much closer to home. I can go on for ever about the difference types scenarios, approaches etc, urban vs non-urban etc. I have plenty of reference material on the stuff so if anyone wants pointers on good books on the subject let me know. I’ve also written some guides on it that are applicable to PR, Squad and Arma. Last edited by Wicks; 05-13-2017, 11:53 AM. Re elevation. Elevation is fine, it can give you a better view of the battlespace. It's not the be all end all though. An elevated position is the first place many will look when they come under fire from a marksman. In an urban environment, where it is often employed because it allows you to see past the myriad smaller structures, it also isolates you and restricts your exfil route. That's a problem you need to work around. Traditionally urban snipers, at least in Western forces, will work in larger groups/teams as they go static in a much less covert way and require a security element. Essentially trading the concealment a non-urban sniper/ marksman uses for the necessary advantages high ground provides in an urban environment. Note, I appreciate we are talking about the marksman class here however the Squad marksman weapons are essentially the exact weapons many urban snipers use due to their magazine capacity and ability to engage multiple targets in quick succession. The methodology is very similar if are talking about a static role, which often occurs in the urban scenario. The methodology/tactics etc for the Marksman change quite a bit when you're talking about non-urban environments. Then the Marksman becomes a more mobile fire support element. That was some excellent shooting on Kokan, it really showcased the sort of environment the Marksman can thrive in and hopefully I can get my shadowplay working to provide some other examples. Specifically I'd like to showcase Basrah to show just how beastly the kit can be for the US or Insurgents. The high damage round of the M110 allowed you to quickly dispatch enemies which I feel gives it a slight advantage over the M4 Acog Optic in your situation. The idea that I'm sensing from most people is that the AR/GL and LAT kits are all great utility kits. Whether you are with a good squad, bad squad, urban map, or open, no one is going to argue over the utility of those kits. They represent the easiest choice for a SL when deciding what the needs of the Squad are. Another perspective on the marksman is this: Each squad gets a limited number of support roles. On most maps, each squad needs to rely on the AT kit as a necessity until there is a level of balance achieved against armored vehicles (requiring fewer LAT hits to disable/destroy lightly armored or unarmored vehicles). As an example, it takes 4 RPG hits (not tandem) to kill a stryker, which is both RPG kits in a squad hitting with both shots. Often it is also beneficial to have a grenadier or a SAW kit in the squad in addition to the 2 LATs. The marksman kit essentially removes a kit able to disable/destroy enemy armor or kits that are superior at suppression or anti-personnel. So, not knocking the marksman kit here, but the SL should have first - and last - say on what support roles he wants filled in his squad. The marksman kit essentially removes a kit able to disable/destroy enemy armor or kits that are superior at suppression or anti-personnel. This speaks to Pro Active's point which I hadn't considered which is the use of the Marksman kit can be highly dependant on which faction you are facing. Obviously playing against Militia or Insurgents allows the other side to adopt a more anti-infantry setup. I have been trying out a setup when squad leading where if the squad is in possession of a Stryker or BTR, I do not require the 2 LATs we usually require by default.